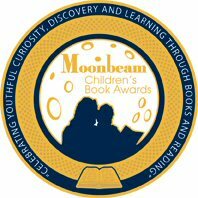 It's been close to a year since I discovered Sara Pennypacker, and I'm still totally in love with her characters. Clementine is back with another new adventure, or rather misadventure in The Talented Clementine. 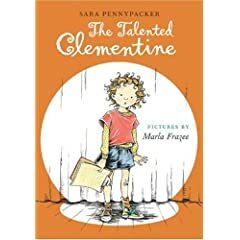 And, once again, Pennypacker's quirky sensibility and Marla Frazee's charming line drawings work seamlessly to bring the lively Clementine to life. In this latest installment, an upcoming school talent show has Clementine seriously worried. While her friend Margaret has so many talents she has to alphabetize them, Clementine can't dance, sing or even burb the 'Star Spangled Banner'. Several trips to the principal ensue as does Clementine's valiant effort to learn tap dancing using her running shoes with beer bottle caps glued to the soles (unfortunately, Clementine's feet were too big to fit Margaret's tap shoes). Needless to say, her father is not pleased that Clementine smells like a brewery. Nor is he impressed that she had helpfully removed the caps from 2 dozen full bottles being saved for the Condo Association meeting later that month. As the big day draws near, Clementine concludes that her best talent bet is to get her little brother to bark like a dog. Unfortunately, her father won't even consider the idea of her little brother on stage with a leash around his neck. It isn't until the night of the Talent-Palooza that Clementine's talent for creative, one-of-a-kind problem solving ensures that the show will go on despite stage fright, cartwheel mishaps, and act over-runs. Kids will love this second Clementine offering just as much as they did the first. And so will you.